My new semester has started with a doozy of an assignment- at least for me, and it kind of sums up how I started the new year. We have to make a video or a podcast of ourselves. Ugh. I am in hardly any of my family pictures because I'm usually the one taking them, and I like it that way. The last time I had to make a video of myself was at the end of student teaching, and the kid helping me had to leave the room for the introduction because I was so clearly uncomfortable. I'm choosing to look the assignment this way: it's something I need to learn how to do, and my kids are THRILLED that we now have a webcam because they LOVE seeing themselves on any screen. I'm not sure where they get this trait because my husband feels the same way I do about pictures and videos. He laughed yesterday when I told him my dilemma. 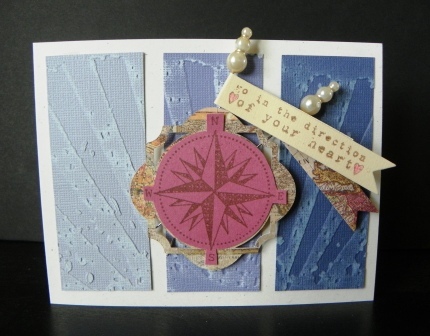 And so this brings me to cardmaking, in a roundabout way. I would LOVE to be published. I realized that the only way to get published is to actually SUBMIT something and that takes a lot of courage. I see the fabulous cards in magazines and wonder about my own crafting skills, so in the words of Wesley from The Princess Bride, "Get used to disappointment". But I'm going to keep that hope and maybe one of these days I'll be pleasantly surprised. "Whoever would have thought that I would write?" (You've Got Mail). If you actually read all of this, bless you. 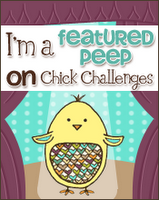 I'm not usually a sharer and this took quite a bit of courage, too. First, lovely cards. 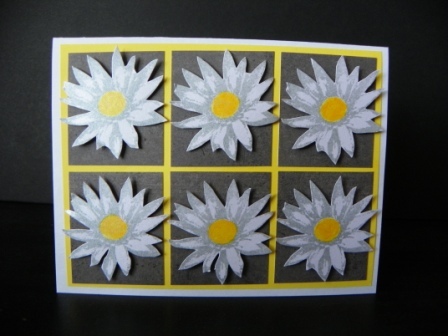 The daisy one is really cool. Second, you can totally do the webcam stuff. Practice, practice, practice... Right? :) it will get easier! You should be happy with both cards. They are awesome. Good luck with your assignment. I know its really hard to go out of our comfort zone, but its usually worth it. I have not inked the daisy stamp yet, but you sure have inspired me! Love both creations! And one of my favorite movies, by the way. My daughter and I must have watched it 150,000 times when she was little on the VHS. It used to be "I'm on camera". It's now, "I'm on Live Feed". That's Generation X for ya! Very cute cards! I love the flowers! Great cards! I really love the first card with the distressing and details. Keep trying and you will get published soon! 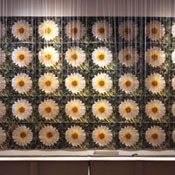 LOVE and I am in love with daisies---soooooo great. I will definitely be copying this idea! Sarah I am sure if you keep submitting beautiful cards like these you are sure to be published soon. I just love your first card today with the triple embossed panels, and the sentiment. Your second card is so cheery and a wonderful take on Andy Warhol. Great job on these! Fabulous work. I know what you mean about pictures. I'm the same way too. But you'll be fabulous and the more you do it, the easier it will be. I found that with public speaking. First, love both of your cards for different reasons. 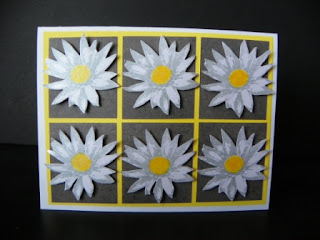 Your flower card is so striking with the repitition and the yellow, and the compass card has so much texture. They are both awesome! Second, keep submitting...I know what you mean about self-doubt. Yes, there's disappointment, but it's good to put yourself out there! Third, webcam? I hope you make a video for the blog! ;) There's my thesis...the end! LOL! Both cards are fantastic! Good luck with the assignment and as far as submitting...I have yet to do it myself for several reason, but hope to one day! We will never know if we don't try!